Yes, the wheels of government turn slowly. But not in New York. Not this time. 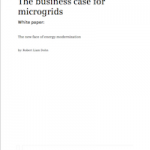 State regulators called on utilities and other stakeholders late last week to get to work now on microgrids and distributed energy demonstrations, rather than wait for final rules in its Reforming the Energy Vision, or REV process. REV promises to decentralize the electric grid, in essence overhauling the way utilities have done business for a century in favor of distributed energy resources. When the state Public Service Commission announced the plan in the spring, it put New York on the forefront of the local energy movement. New York had hoped to get the first track of the plan underway in early 2015, but the policy still isn’t finished because it must undergo an environmental review required under state law. The commission says it wants demonstration projects ready to go when the REV rules are final. The projects will provide insight into how to structure key parts of the plan, including the innovative distributed system platform, or DSP. A kind of market exchange and management system for distributed energy, DSP mimics the independent system operators that now manage bulk power in much of North America. So what kind of test projects does the commission want? It’s not being overly prescriptive and hopes to see a diversity of ideas. The commission wants to use the projects to better understand how to integrate projects into the distribution system, engage customers, enhance cyber-security, and encourage a workable market. A key issue is cost — who will pay for what — and how to keep cost recovery from becoming a barrier to distributed energy. Utilities and private companies should partner to speed development of a competitive market and encourage private ownership of projects, the commission said. “Rather than following a traditional RFP/RFI method where the utility has pre-diagnosed the solution, instead utilities should identify the problem and the market should propose solutions, leaving the utility to determine which third party proposal provides the most valuable solution,” the commission said. These new demonstration projects would be in addition to several REV-style tests already underway in New York. Among them is a recently approved plan by Consolidated Edison to use microgrids, demand-side management and other non-traditional means to meet new electric demand in Brooklyn and Queens. 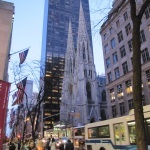 See related story: New York regulators have okayed a Consolidated Edison microgrid plan and other non-traditional resources to solve problems typically fixed by more conventional means. A microgrid under study by National Grid, EPRI, the University of Buffalo and the Buffalo Niagara Medical Campus. The project is exploring how distributed energy would improve reliability, efficiency, quality, and power delivery to the medical campus. A test by Central Hudson Gas & Electric of system-wide communications and distribution automation that would allow for integration and analysis of distributed energy resources. A smart community project by Iberdrola USA that incorporates several elements of distributed energy, such as generation, storage, efficiency, demand management, advanced metering, distribution system automation and home energy systems. Advanced Metering Infrastructure planned by Orange and Rockland Utilities to improve energy efficiency and electric outage detection and restoration. New York also has a competition underway to encourage the development of community microgrids. The full commission order is here. Want to keep track of the New York’s distributed energy market as it unfolds? Subscribe to Energy Efficiency Markets’ free newsletter.